The 1300 series bolt on bearing is intended to replace your OEM bearing retainer when your “A” measurement is less than 3”. These bearings are made of the finest hard anodized billet aluminum, along with quality elbow swivel fittings and high pressure stainless steel braided lines. These high quality components make the Mcleod bolt on hydraulic throw out bearing extremely durable, and the best in the market today! These assemblies may be used to eliminate the need to fabricate complex clutch linkage when swapping transmissions. Most McLeod Hydraulic Throw Out Bearings are available with or without a master cylinder. The 1400 series slip on bearing is intended to replace your OEM bearing retainer when your “A” measurement is more than 3”. These bearings are made of the finest hard anodized billet aluminum, along with quality elbow swivel fittings and high pressure stainless steel braided lines. These high quality components make the Mcleod bolt on hydraulic throw out bearing extremely durable, and the best in the market today! These assemblies may be used to eliminate the need to fabricate complex clutch linkage when swapping transmissions. 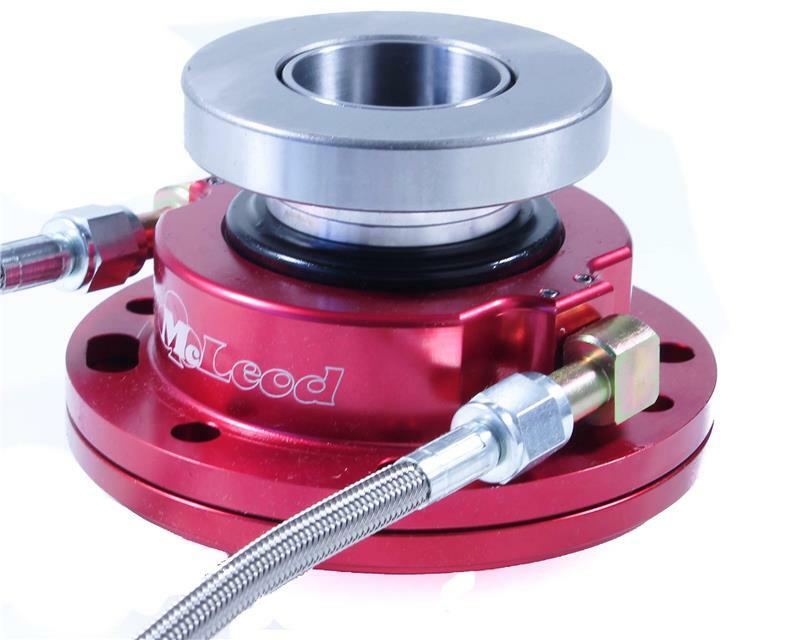 Most McLeod Hydraulic Throw Out Bearings are available with or without a master cylinder.